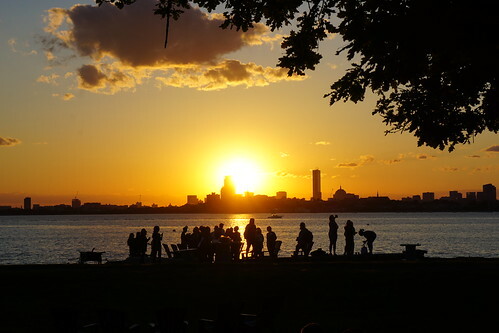 Summer is eventually coming to Boston, and when it does, it's time for harbor cruises and visits to the Boston Harbor Islands. Thompson Island is also gearing up for the season. 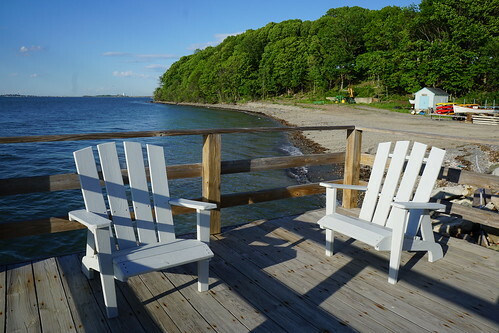 Thompson Island is open for one of two purposes: 1) a private event on the island, or 2) Outward Bound, an experiential education program for students. The two are connected, and I recently visited the island on their Open House to learn more about both and the great cause the island is supporting! 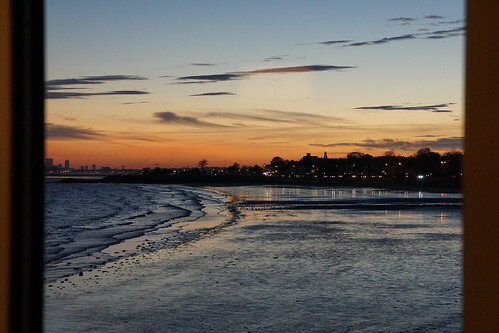 While the education center provides educational programs for students of all ages (corporate team building included), the private events that are booked on the island provide the funds needed for Outward Bound to offer FREE summer programs to Boston public school students! The wonderful cause isn't the only draw for having your event on this island, though. Let's take a look at what they offer. 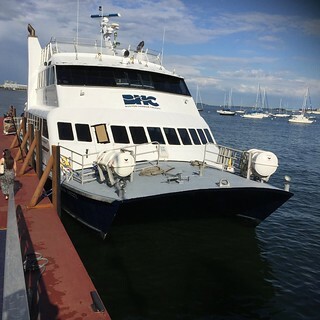 The island is a mile off of downtown Boston and takes about 30 minutes with the Boston Harbor Cruises ship. It was nice to get off the boat and head to our own private island - at least for the evening. Cheebo has been around on Sunset Blvd for a while, and their free wifi and all day menu seems to draw a few people either working on their laptops or having meetings there. 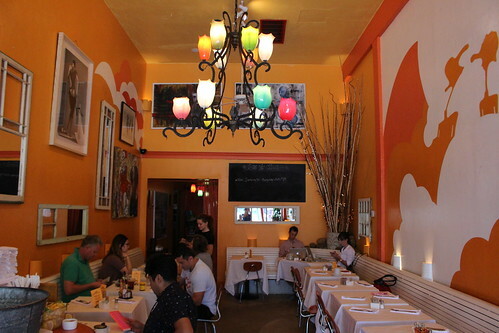 The decor is colorful, fun, and a bit kitschy. 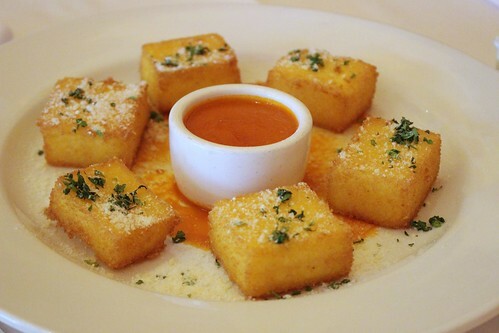 These fluffy fried polenta were addictive, they're way better than regular tater tots! I took half on the plane with me, and it was perfect! 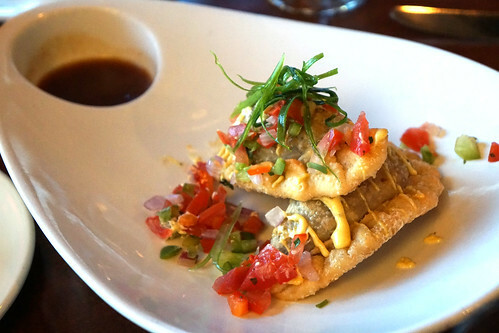 We oftentimes ignore hotel restaurants. 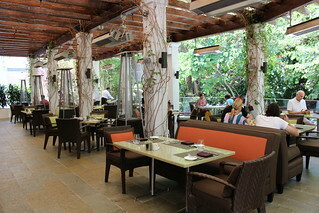 In fact, I didn't even know the Sunset Marquis hotel had a restaurant - and it's gorgeous. 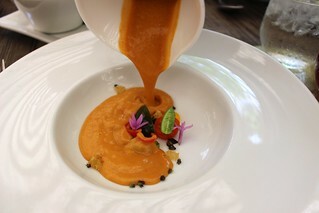 The newly revamped and renamed restaurant, Cavatina, is tucked in the heart of the hotel. The outdoor area is naturally popular during the day, with lush greenery and a faux waterfall nearby. Executive Chef Roger Eggleston (formerly of Ten Pound Bar) has teamed up with Boston's James Beard winner Michael Schlow for the revamped restaurant's menu. I recently came in for lunch to check it out. Could not stop munching on all of them - the popcorn in particular! 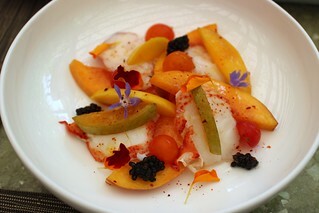 The fresh, chilled lobster was beautifully complemented by the sweet, juicy fruits. It's a suprising combination that also works perfectly for the summer weather. 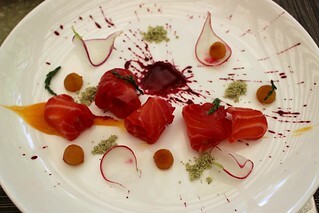 Another great seafood dish, the salmon's texture was silky. I finally tried the somewhat-new Loteria! Grill in Hollywood about a week ago. 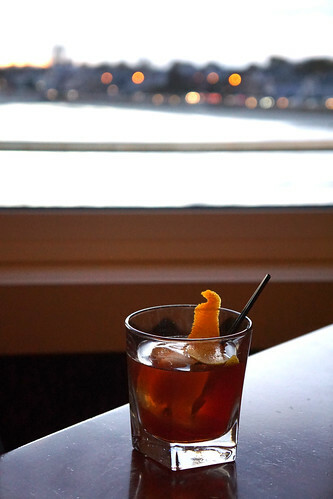 A completely different ambiance than its predecessor at the Farmer's Market, this Hollywood outpost has high ceilings and a nice looking bar. 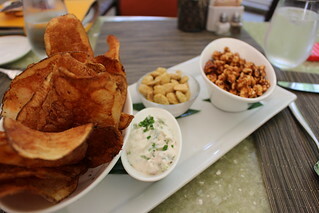 The salsa and tortilla chips at Loteria are amazing, but as some have noticed, they're pretty stingy about it. A small portion for the 4 of us, we chowed it down in 5 minutes. We flagged down 4 waiters to ask for more, but their 'yes' never materialized into more chips and salsa. Finally we managed to flag down a busboy who graciously actually brought us more! No rice or beans were given - just two tacos at $3.50 each. The tacos were great, thought. 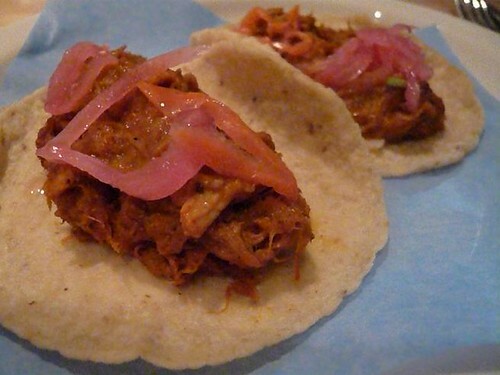 The cochinita pibil was very flavorful, with a light spiciness. The meat was very tender. 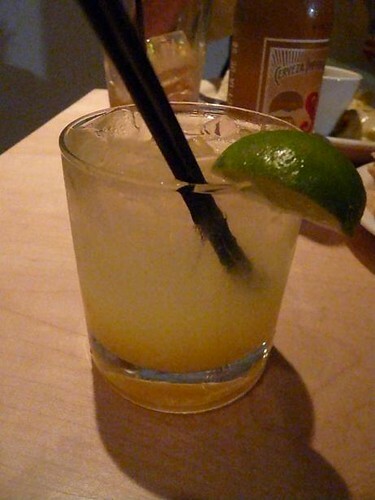 For drinks I ordered a mango margarita (I believe this was $11). One friend ordered the chicken mole enchilada ($12). 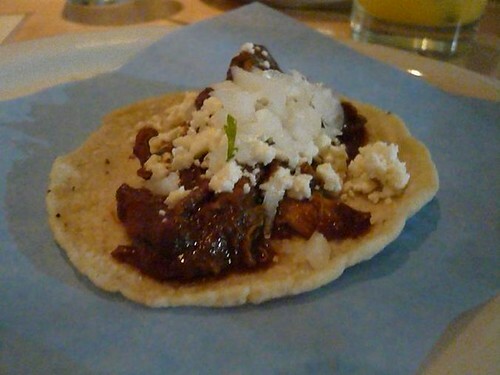 I tried a bite of this and absolutely, absolutely loved the mole sauce! 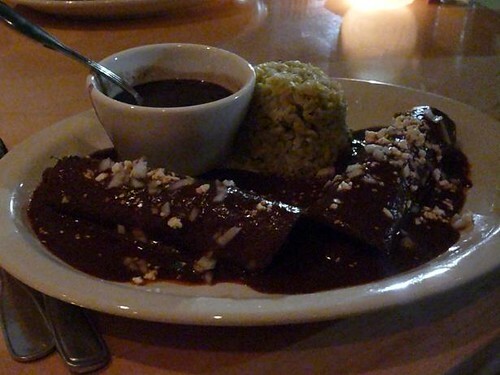 The enchilada is also a better deal with more food, and rice and beans. Next time I will get this instead of tacos.. The mole taco was great, and did the job of satisfying my craving. 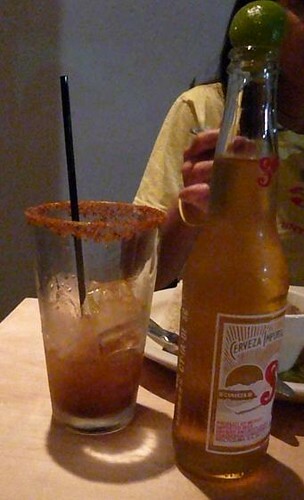 A couple friends ordered the Michelada for a drink ($9), which is basically a bloody mary mix with cerveza. XIV lets you create your own tasting menu and every dish is priced at $8, and as I learned later this means you should order carefully. The catch - each person on the table has to have the same dishes. 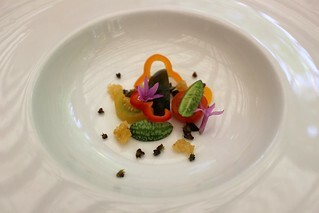 In this regard, I like Sona's tasting menu where they give everyone a different dish - lets you try more dishes. Our server was extremely friendly and down to earth - loved her. But the dishes were coming practically in twos which I found weird... My risotto was getting cold as I was eating my salad. 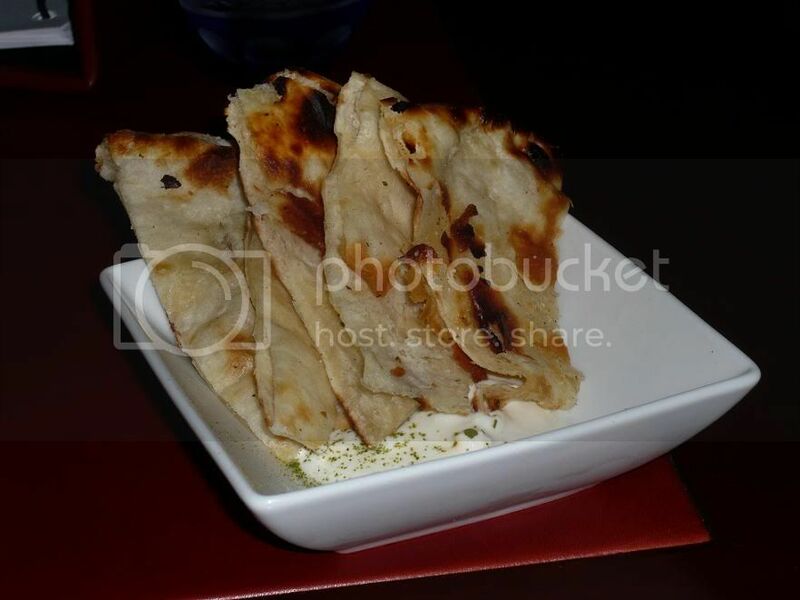 Instead of bread, they serve some Naan with Feta Cheese, and as all have speculated, it's probably because of Michael Mina's middle eastern background. The naan was excellent and the combination with the feta cheese worked extremely well. Each person is given our own dish of naan, and yes, we finished it all. 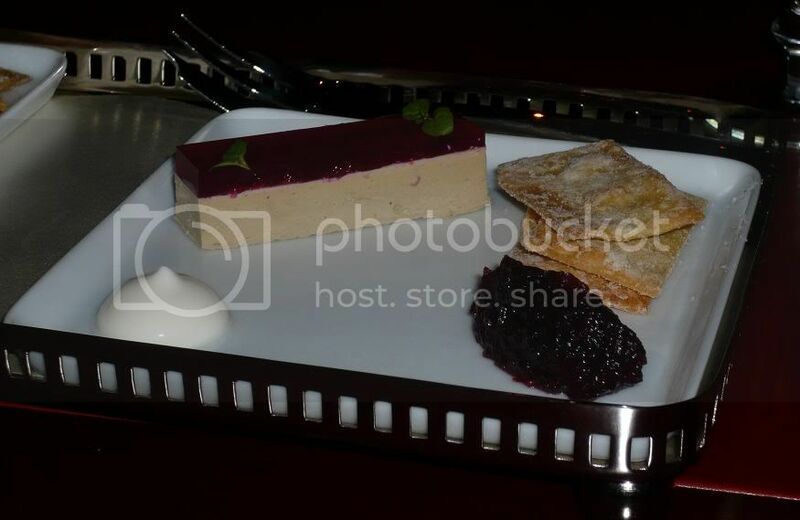 Great foie gras terrine, and I loved the cranberry gelee on top - nice combination of flavor and texture there. The terrine was dense and smooth. As you can see, not much heirloom tomatoes there. Baiscally a tiny lettuce salad, for $8 ... Yeah I don't think so. There won't be a second time. The lettuce also wasn't particularly fresh. 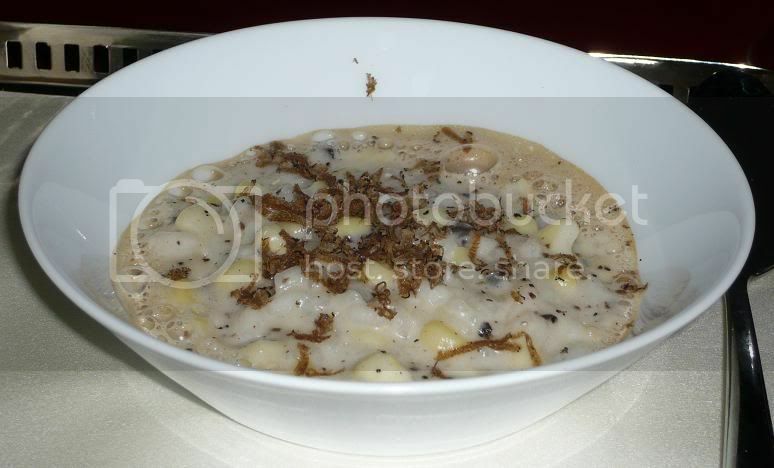 Great dish - creamy, aromatic. The sweet corn cuts the richness very nicely. My favorite dish of the night. The black cod is cooked very, very nicely. The texture is the best I've ever had on a black cod and the flavor is very delicate - amazing. 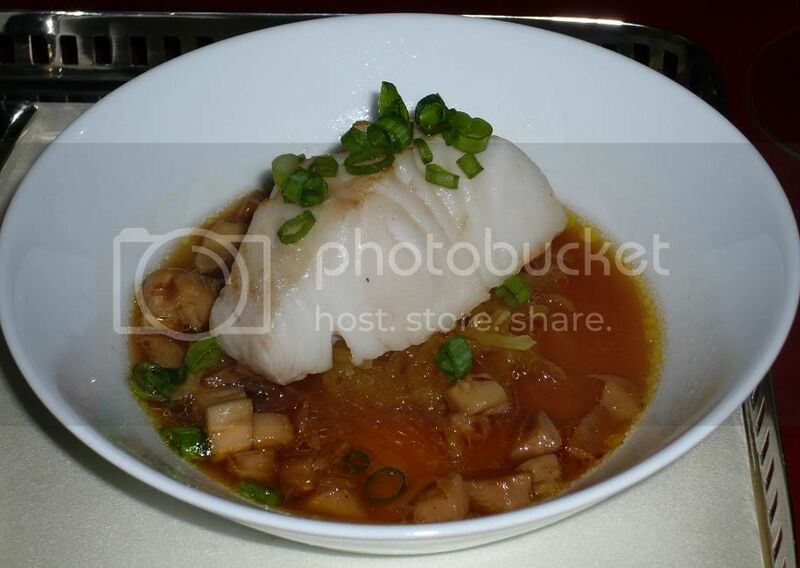 The fish and the dashi goes together perfectly. The spaghetti squash added another layer of texture, and I thought everything worked very well together. 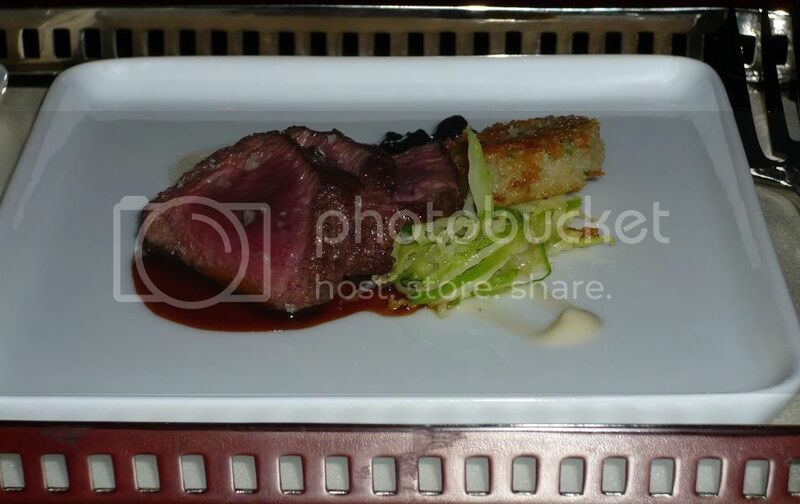 The veal was cooked nicely - medium rare and very tender and flavorful. 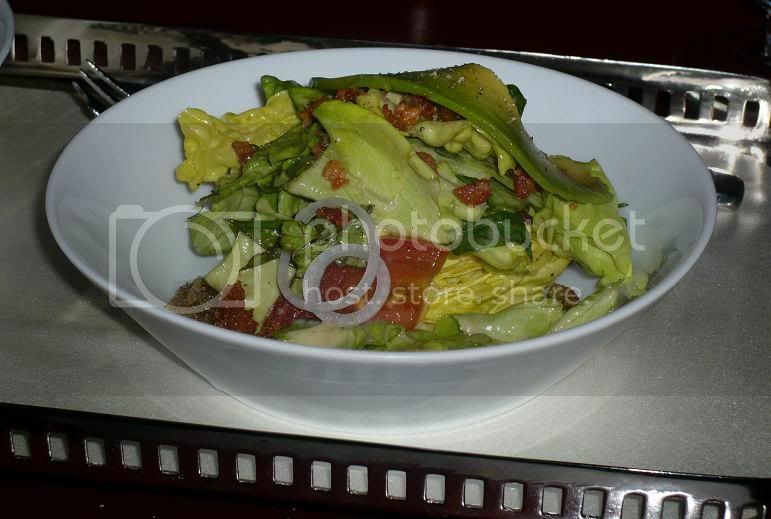 I also loved the onion and brussel sprouts, although as kevin mentioned, seems superfluous.. The meat itself however, was good but not the best I've had. It wasn't as game-y as I would've liked. That aside, this is one of the better preparations out there. Also, the portion is a bit on the small side - three small slices of meat. I guess it's only $8. 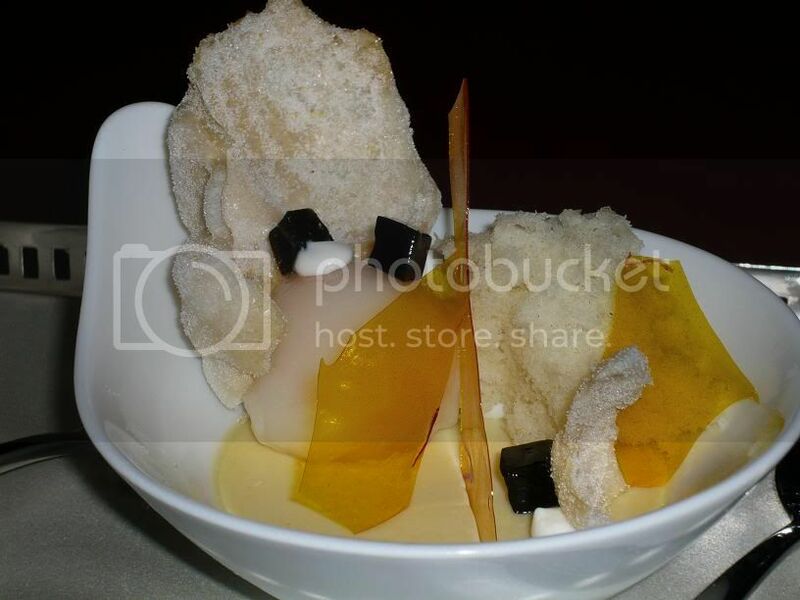 I thought this dessert was tasty and interesting. The mochi was good but pretty sticky. Although I liked the taste of this dessert, it left my mouth feeling rich and sticky while I was hoping for something more refreshing. Overall I liked the cube better, but again, this one still tastes good. XIV definitely knows how to prepare their food, meat and fish in particular, but the $8/dish can lead to a hit or miss so do order carefully (i.e. avoid cheap salads). Oh and I forgot to mention - Valet parking is a ridiculous whopping $14. 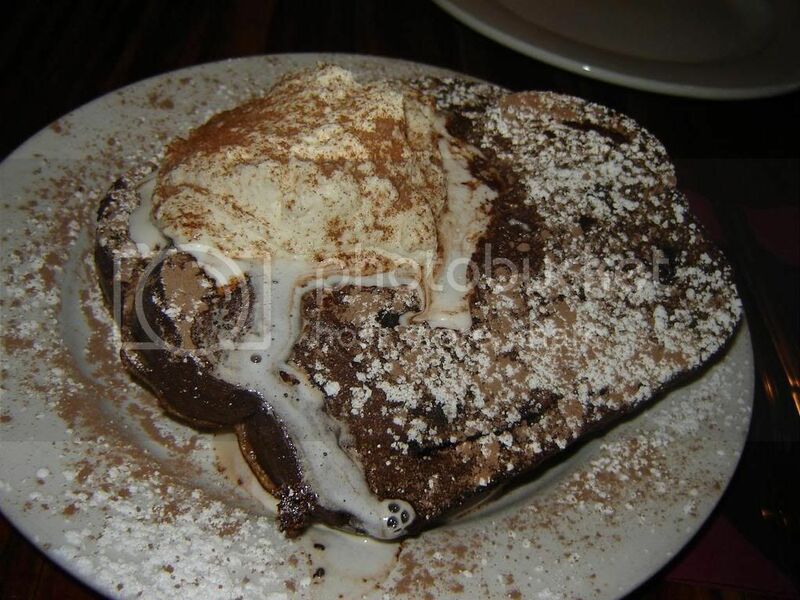 Late Friday night I was perusing Chowhound ... and Diana posted the menu to the Griddle Cafe, that boasts an amazing array of pancakes and french toasts, including (basically) an oreo pancake, apple streusel pancake, cheesecake pancake/french toast, pumpkin pancake, etc. My fate was sealed. 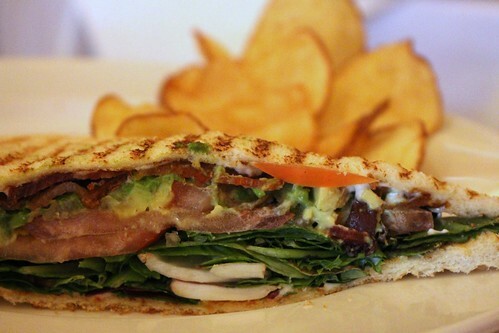 The Griddle Cafe for brunch tomorrow! Luckily an old co-worker of mine that I hadn't seen in 3 years was in town and said she'd go with me! We got there around noon and the place was crowded. We waited for about 20-30 minutes before finally getting seated. I originally planned on getting their nutella-stuffed french toast, but then when we read the menu again we were really drawn to the "Devil's Daydream" french toast .... chocolate bread with bittersweet chocolate chips, topped with whipped cream. Mmmm ... After seeing the surreally large flapjacks on other people's tables we decided to just split one. The food took a while to come - it looks like they have a pretty small kitchen and only a few kitchen stuff to manage all the customers they have in the packed restaurant. So our french toast finally came: Now don't be fooled, these slices are huuge! It was definitely a very rich breakfast (or lunch? 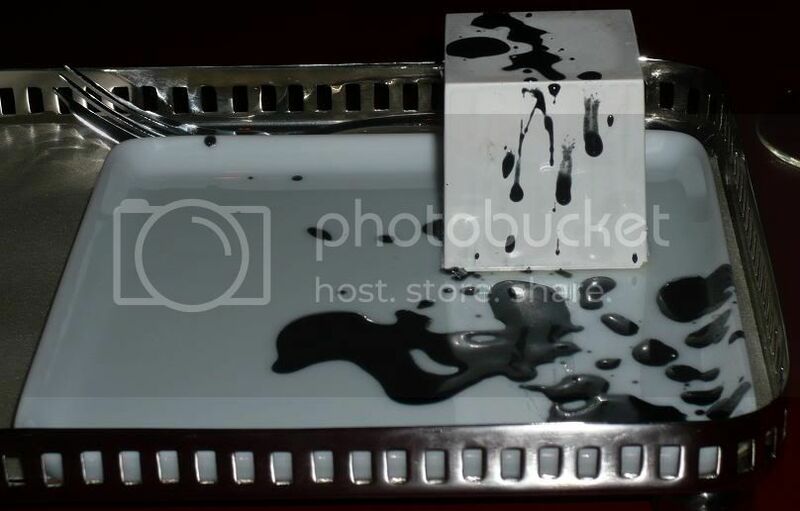 ), full of chocolate! The bread itself actually was not too dense, which is good - otherwise I won't be able to handle it! It also has the right moistness and so does not require maple syrup or anything on top of it. We could even barely finish our one slice each of this, but we both thought it was yummy! So I had a rich dessert for lunch .... :P but it was the weekend! Anyway, I definitely have to bring a group here next time! That way we can order more varieties and split them all!